Breezy Ridge Farm was established in 1983 by Phil and Liz Smith with a small flock of 40 mixed breed ewes. 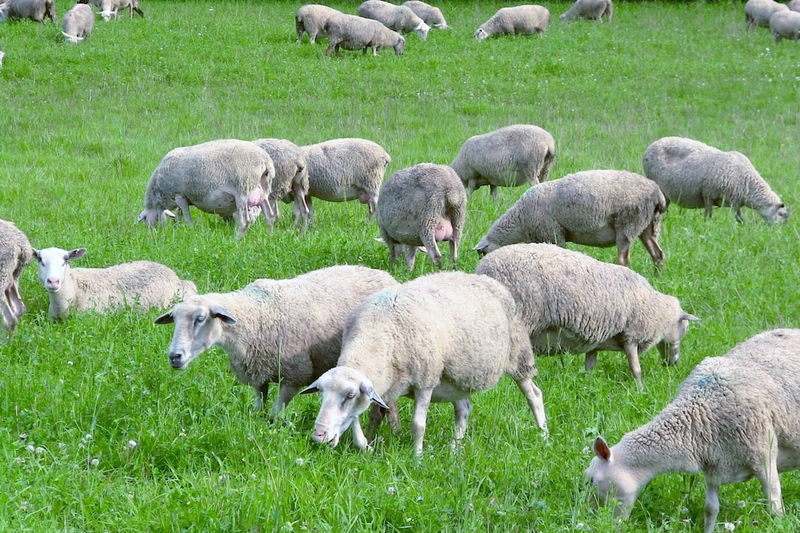 The Rideau Sheep are a Canadian agricultural success story. The breed was developed by Agriculture Canada at the Animal Research Centre (ARC) in Ottawa. Rams are selected in most cases from ewes that are 5 yrs. and older. Their dams are productive ewes weaning 2.6 lambs or more per year over those 5 years. All Ontario sheep producers face increasing resistance of internal parasites to available deworming products. The flock is on an accelerated program of 3 lambing’s in 2 years. The lambing periods are winter, spring, and early November. Browse our collection of videos showing Rideau sheep on Breezy Ridge Farm. This is just a thing we’ve been doing since 1983, and now it’s become a big thing. Go figure, Baha’is we’re always ahead of the times. If you have any questions about the Rideau breed of sheep or about Breezy Ridge Farm in general, don’t hesitate to drop us a line.